I was looking for a decent meal after shopping at Eastland and didn't feel like the food court. Ajisen Ramen, the new Japanese outlet seemed to be buzzing, so I thought we'd give it a go. As we were shown a table right at the back, it was evident they were virtually full. But even so, we barely waited to be served and the wait staff were pleasant and helpful, which is always a good sign. What I didn't realise was that we were about to experience something a little different when it came to ordering. After we were seated, the waitress asked if we'd been there before. We hadn't, so she explained that ordering our meals was like online shopping and pulled out an iPad, which was cleverly stored under the table, for us to use. Who knew that dining in could be an online shopping experience! 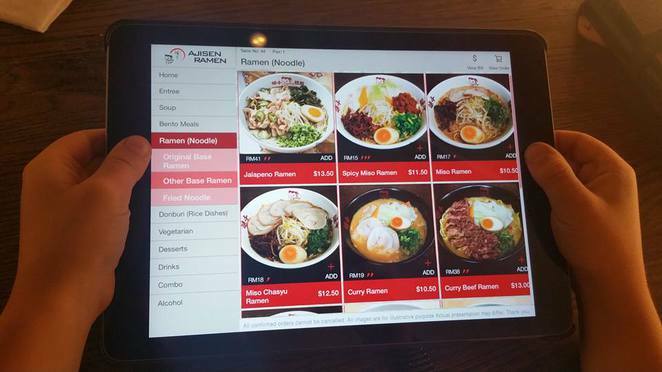 Online ordering while dining in - easy to use and more fun for kids than you'd think! I saw it as a novelty but figured that the kids would see it as a bit of fun, which they did. I let them look through the menu first, which they thought was pretty cool. I must admit, it made it easy for them to see the choices when ordering. However, my eldest was a little perplexed because there wasn't a picture of the Teriyaki Chicken that he wanted to order. But he got through it and took the punt by ordering it sight unseen. 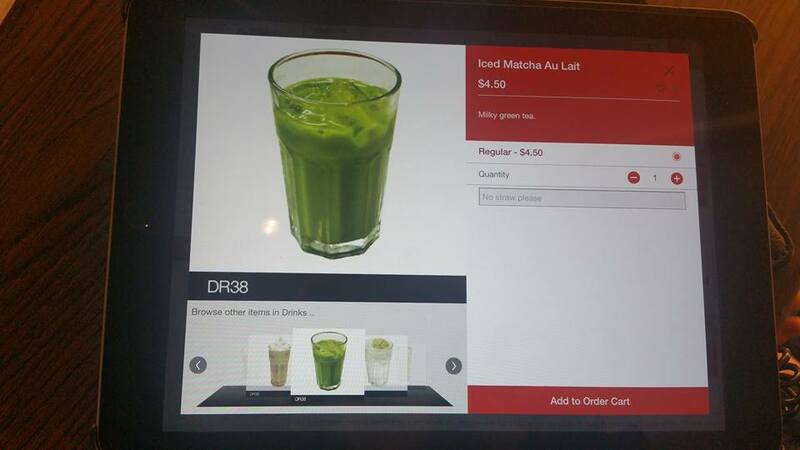 What could be useful for some, were the options that this ordering system gave, because you can add or remove ingredients with just a click and you can also make notes if you have special requests with your order. This could be useful for someone with food intolerances. My kids thought they'd take advantage of this ordering system and added 75 Lemonade and Matcha Floats, which they thought was hilarious. But to their disappointment, it was easy for me (the non-tech-savvy one) to remove them from the cart. So to further test this clever system, I put a note in to ask for no straws to help with my Plastic Free Challenge. Sure enough, when the drinks came, and they came very quickly, there were no straws, so we were able to eat out and have a Zero Waste meal. The drinks came with a spoon which kept the kids happy as the floats are a drink topped with ice cream. The food also came very quickly. 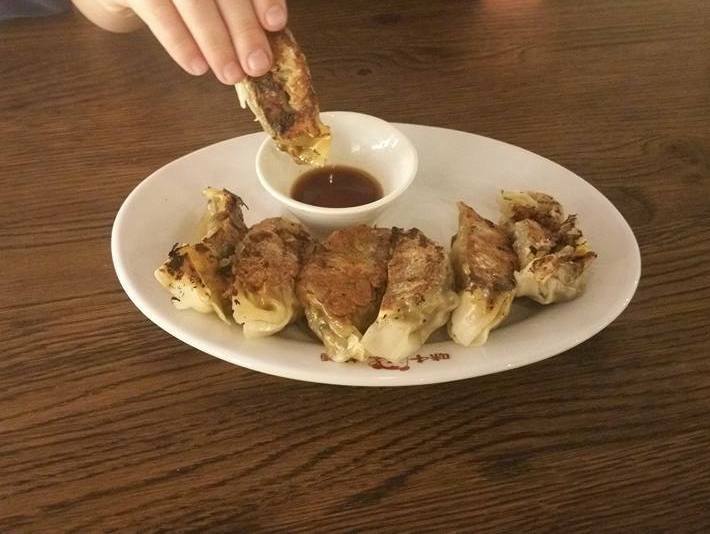 We started with Vegetable Gyozas. Fair to say my kids were keen to grab one, but at least there were plenty for us to share. 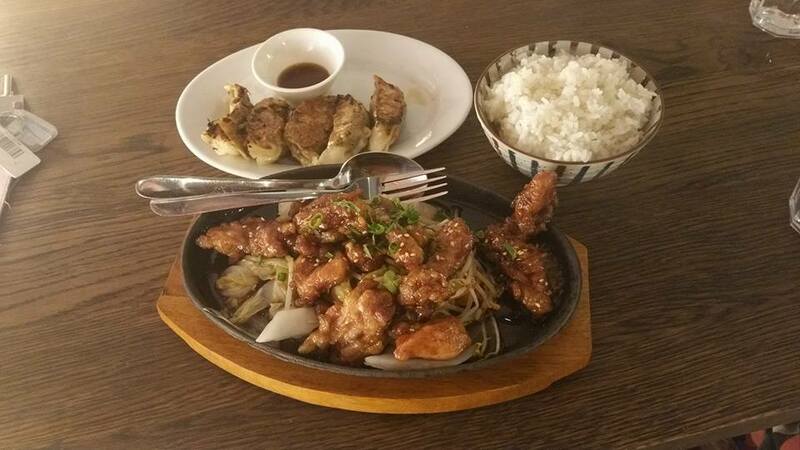 The Teriyaki Chicken quickly followed, which was great because we were starving! I was surprised when the chicken wings came out so soon, because the menu indicated they could take 15-20 min, but I'm sure they took much less than that. 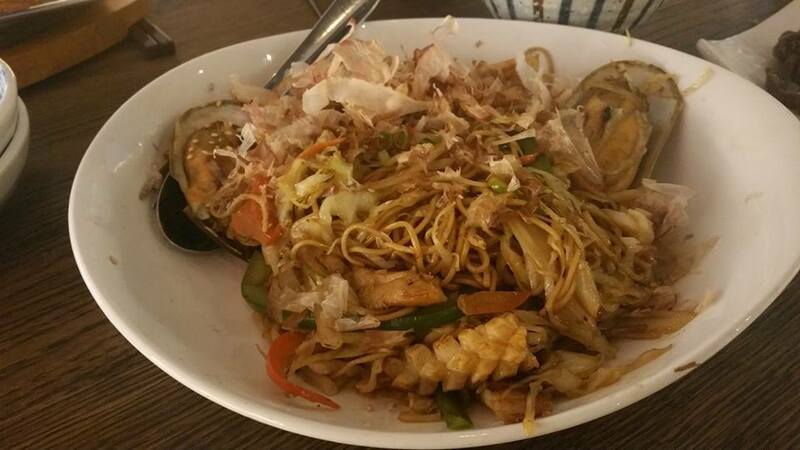 Then to finish, we had the Seafood Yaki Ramen, a noodle dish, which I'm glad came last because the kids had claimed the chicken by then. 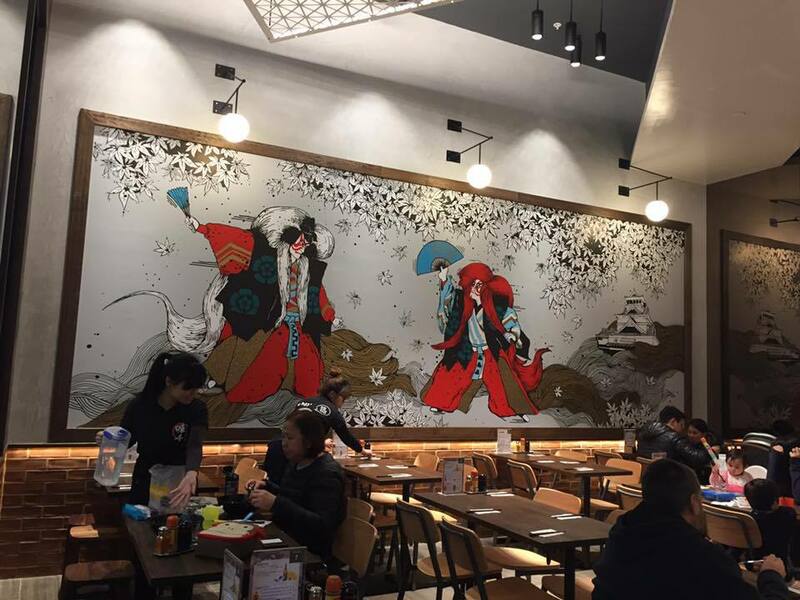 What I also loved was the artistic impression of Japan on the wall, it made it feel more authentic and also took away the feeling that we were in a busy shopping centre. Cost: Various prices - $5-18.50 see menu online.